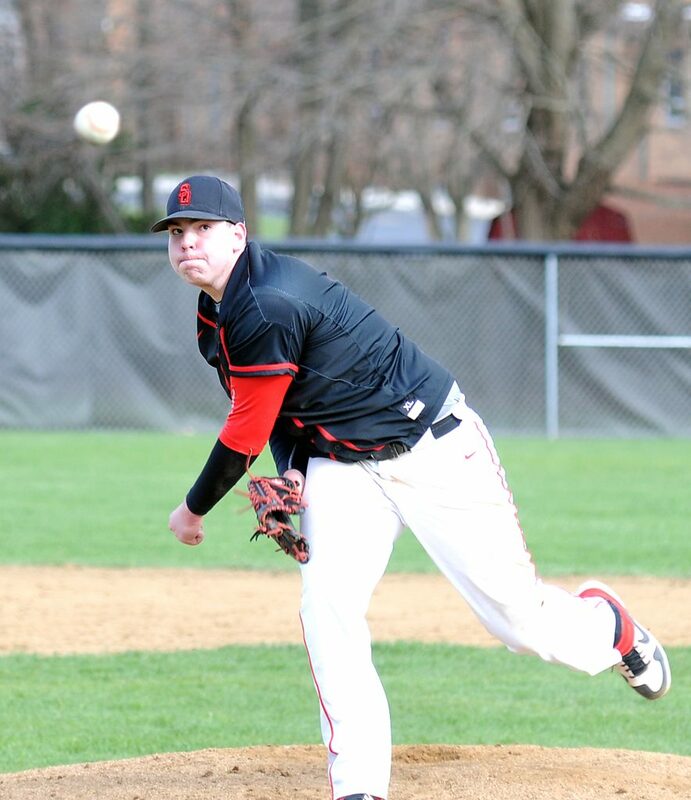 SALEM — Salem’s baseball kept its unbeaten record at home in tact by topping West Branch 4-3 on Wednesday. Adam Wilson led the way as he went the distance on the mound with eight strikeouts. Wilson also had a go-ahead RBI single in the fifth inning that scored Lane Rhodes. Rhodes set up the run with a double. Salem is 4-5 and 3-3, while West Branch falls to 5-5, 3-3. West Branch’s Brock Hillyer had a hit and scored for the Warriors. Sam Ritchie had an RBI double in the second inning. Darius Beck had an RBI single for the Quakers as well. Salem is at Canfield today. SA–Adam Wilson, wp (8K) and Bryce Owen. WB–Mason Walker, lp (5IP, 4K), Donavin Conrad (1IP, 2K) and Tristan Ballard. LEETONIA — Parker Hydrick had had three hits including two RBIs, while Ethan Antram had three hits and an RBI as United picked up a 13-2 win over Leetonia in six innings on Wednesday. Brady Leyman, Ethan McDevitt and Andrew Magnuson had two hits and two RBIs for the Eagles. Toby Heckman had had a single and RBI for the Bears. 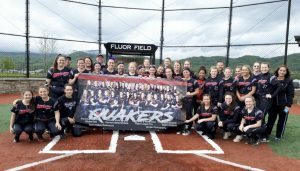 UNITY — Defending Eastern Ohio Athletic Conference champ Toronto scored a 12-2 win over East Palestine in five innings on Wednesday. Dalton Vance and Jordon Fristik had two hits each for the Bulldogs, 2-7 and 1-5 in the league. East Palestine hosts Heartland Christian today. TO–Tristan Thomas, wp (4IP, 1BB, 3K), Cobe Herrick (1IP, 0BB, 0K) and Lucas Gulczynski. EP–Dalton Vance, lp (1 1/3IP, 2BB, 0K), Brandon Turcola (2 2/3IP, 3BB, 0K), Jordon Fristik (2/3IP, 2BB, 1K), Brock Cheruco (1/3IP, 0BB, 0K) and Connor Elliott. STRUTHERS — Lowellville rallied from an early 2-0 deficit to beat Heartland Christian, 6-2, at Cene Park Wednesday. Matt Hvisdak had a double for the Rockets, who scored runs in four of the first five innings. For Heartland, Tom Kling and Nate Garzanich had doubles. Zack Labon and Luke Raffery added singles. Heartland (4-3) will host East Palestine at 5 p.m. today. L–Ricky Cutter, wp (6IP, 6K, 1BB), Matt Hvisdak (1IP, 2K, 1BB) and Dyland Durkin. HC–Luke Rafferty, lp (6IP, 3ER, 1BB) and Aaron Gault, Tom Kling. NEW MIDDLETOWN — Springfield rallied to tie the game in the fifth, but Ursuline scored an 8-7 victory over the Tigers on Wednesday. Mitch Seymour had two hits for the Tigers, while Clayton Nezbeth and Chris Thompson had doubles. U–Glen Griswold (5IP, 3BB, 3K(, Joel Kreuwieser, wp (2IP, 0BB, 2K) and Joey Carosella. S–Jarrett Orbin, lp (5 1/3IP, 4BB, 7K), Mitch Seymour (1 2/3IP, 1BB, 1K) and Nick Slike. COLUMBIANA — James Fitzgerald drove in four runs and Keith Berger three as Crestview topped Campbell Memorial, 12-3, in All-American Conference action Wednesday. The Rebels improve to 9-2 overall and 6-0 in AAC play. Berger had two singles and a double, Devin Turvey three hits and an RBI and Tyler Hurd two hits and an RBI. Tanner Daub was the winning pitcher with Isaac Ricketts pitching three innings of one-hit ball in relief. For Campbell, Henry Falcon, Jarid Armeni, Collin Michaels, and Nafre Falcon had hits . The Rebels will host Edgewood at 1 p.m. Saturday. CR–Tanner Daub, wp (4IP, 3R, 3H, 4K, 2BB), Isaac Ricketts (3IP, 1H, 5K).